In Army of Darkness, Ash is transported back to the middle ages and must do battle with Deadites and locate The Necronomicon in order to ensure his safe passage back home. Naturally, nothing goes according to plan and much hilarity ensures. 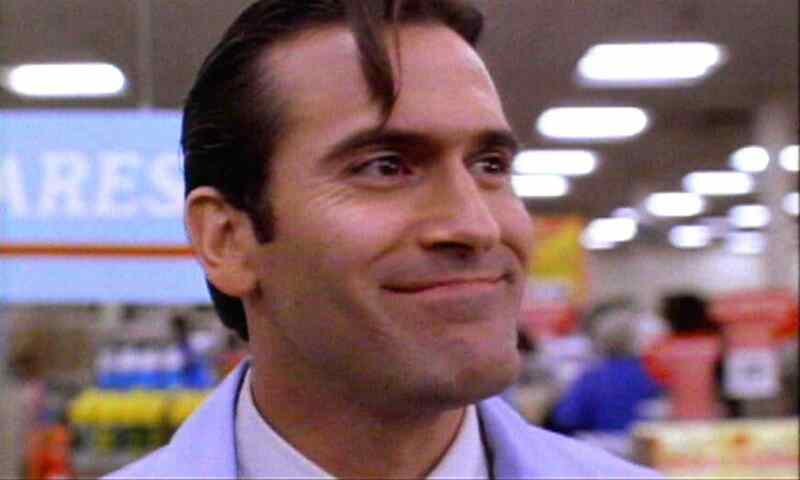 Army of Darkness is my least favorite of the Evil Dead trilogy but that’s like saying chocolate is my least favorite flavor of ice cream. I still love it. There are just others that I enjoy even more. There are some minor pacing issues and some underdeveloped plot points in this threequel. But it’s still an incredibly solid film that took a little longer than the first two to find its audience than the two films that came before it. One of my favorite things about Army of Darkness are the effects. The stop motion FX are absolutely incredible. This is a labor of love and it really showed just what Sam Raimi could do when you gave him a budget with which to work. The KNB team did an amazing job here, as did everyone involved. Evil Ash and Evil Sheila are beautifully rendered. And the army of skeletal Deadites are a real work of art. But I will stop there because you’ve probably seen this film plenty of times and don’t really need a blow-by-blow, I’ve done that here previously. What I really want to touch on is the special features. This release comes with a brand new, feature length making of documentary that goes into nearly every detail of the production process and sheds new light on the film. I was thoroughly and utterly impressed. Also included are three different versions of the film, the original ending, an alternate opening, audio commentary, deleted scenes, theatrical trailers, and more. This is the definitive version of Army of Darkness. Once you have this version, you can probably safely sell off all of the other editions you have in your collection. The transfer of the film is crisp and fresh. The picture has been beautifully restored. The audio quality is excellent. As I said before, this is really the definitive version of this film. All of the colors are crisp. As per usual, Scream Factory has done an amazing job of putting together a package that you simply cannot beat. If you are an Evil Dead fan, you need this film! It is now available via the Shout Factory Website. Check Out an Advance Clip from Episode 4 of Ash vs. Evil Dead! Evil Dead is Headed for the Small Screen!